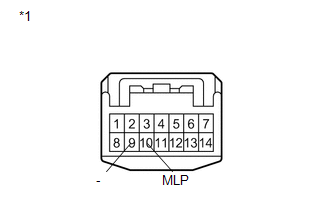 The main body ECU (driver side junction block assembly) controls the door mirror foot lights. (e) Check that the door mirror foot lights operate. Door mirror foot lights illuminate. (a) Remove the outer rear view mirror assembly that does not illuminate (See page ). (b) Connect a positive (+) lead from the battery to terminal 10 (MLP) and a negative (-) lead to terminal 9 (-). (c) Check that the outer mirror foot light comes on. (b) Disconnect the I11 or H11 outer rear view mirror assembly connector. (a) Connect the Techstream on the DLC3. (d) Enter the following menus: Body Electrical / Mirror L or Mirror R / Active Test. 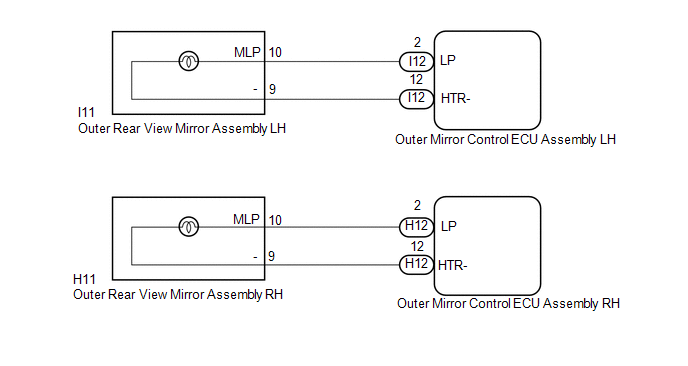 (a) Remove the outer rear view mirror assembly LH (See page ). Door mirror foot light comes on. (a) Disconnect the I12 outer mirror control ECU assembly LH connector. 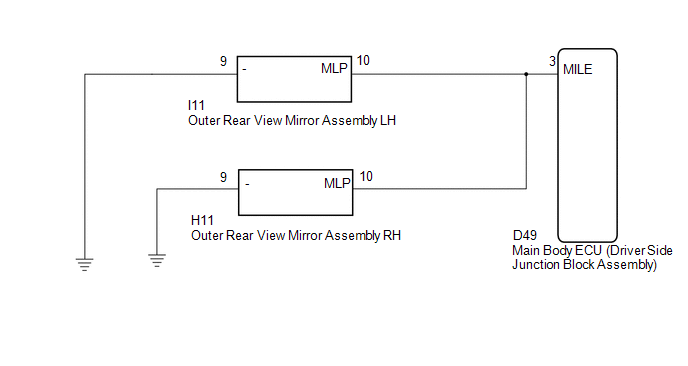 (a) Remove the outer rear view mirror assembly RH (See page ). (a) Disconnect the H12 outer mirror control ECU assembly RH connector.